Chulu West - Panorama Trekking Pvt. Ltd.
Best Time: march - may/ sep- nov.
Culture: Gurung / busshist / Hinduist. Chulu West Peak is the peak in western region of Nepal in the Annapurna range. 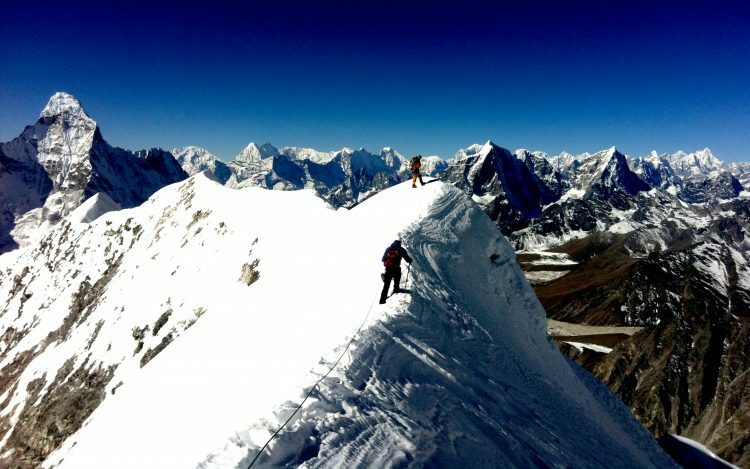 This peak was first explored and summited a in 1952 by a Japanese Expedition team. 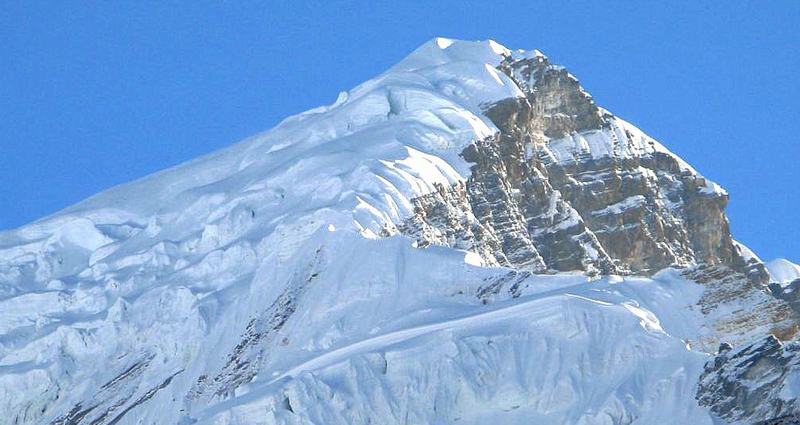 The Base Camp of this peak is situated in a small valley North of Manang, the main trail to the Thorang La. There is a controversy regarding the name and location of the Chulu peaks. There are several peaks close by and are also a part of Chulu massif but are not indicated in the map. Thus it is difficult to differentiate between the two Chulu. However, the Chulu group comprises of four peaks: two in the east and two in the west. Chulu West may also be called Chulu Central. The trek to this peak (grade PD) a is mesmerizing with wonderful culture, the regions is know for one of the best scenic mountains and village views alongside the river. 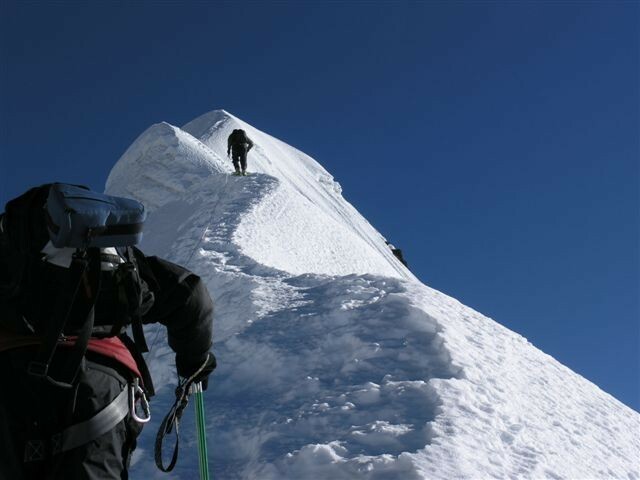 To summit the peak it will take us three days and this is sufficient enough how ever if you are not comfortable with it we can extend the summit duration. Our climbers will set up the base camp and you will be given the Basic mountaineering training by the Sherpas/ climber guide to make you comfortable with the peak climb, this peak is a trekking peak though its little difficult but you don’t necessarily have to have the mountaineering skill, which means there is no technical difficulty in ascending this peak. a If you are fit and can trek, gradually you will be able to make the summit of 6419m Chulu west and that is something which will make you proud in your later life. If we talk about the views from the summit there is no end to the content of Happiness which you will possess up there. the people living in this region are simple, generous and religious. They are somehow related to Tibetans in terms of their native dialects, customs and dress resembles to that of Tibet. Day 02: Pre- trip meeting and preparation day. Day 14: Trek from Thorung Phedi to Muktinath ( Pass to Thorung La ). /lodge. 8hrs. Day 15: Trek from Muktinath to Jomsom. (2760m) /lodge 5hrs. Day 17: Pokhara to a Kathmand by Tourist Bus. Day 18: Last day at Katmandu for shopping souvenirs and etc. Note: The conditions stated on itinerary are for the visitors who prefer full package program. Based on your interest, we also serve you customized packages. The itineraries can be customized according to the length of your stay and financial procurement. all land transportation during the trek. Welcome dinner classic Nepali cousin place with culture show. First Aid and Eco trained English / french Speaking guide as per itinerary. trekking, camping and climbing staff+ guide. All permits such as National Park, Trekking Permit, ACAP, Climbing permits as per itinerary describes. High altitudes chamber bags (PAC) for high altitudes treks, expedition. Travel, trek and expedition medical and evacuation insurance Highly recommended. ( once you have this we take care of everything to cover the expenses from insurance co. Tips for the staffs as a gift to express them that you enjoyed the trip.